As a result of an earthquake measuring 4.1 on the Richter Scale, a tsunami-like wave and flooding struck a remote hamlet about 30 km from the village of Nuugaatsiaq in Greenland two days ago. 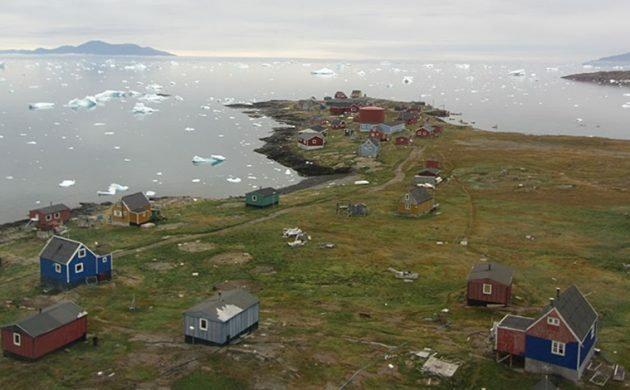 The authorities are now busy evacuating the inhabitants, and so far 39 out of the village’s estimated 100 residents have been taken to Uummanaq, the Greenlandic broadcasting corporation KNR reports. Reports indicate there have been a number of people killed, but so far the police have not released any casualty figures. “We’re in the process of evacuating the village of Nuugaatsiaq and we can’t comment or provide further information about what has happened before we are finished and have a full overview of the situation,” Liselotte Bøhm, the senior prosecutor in the Greenlandic police, told DR Nyheder. Due to the fear of aftershocks, people are being advised to stay away from the coastline.